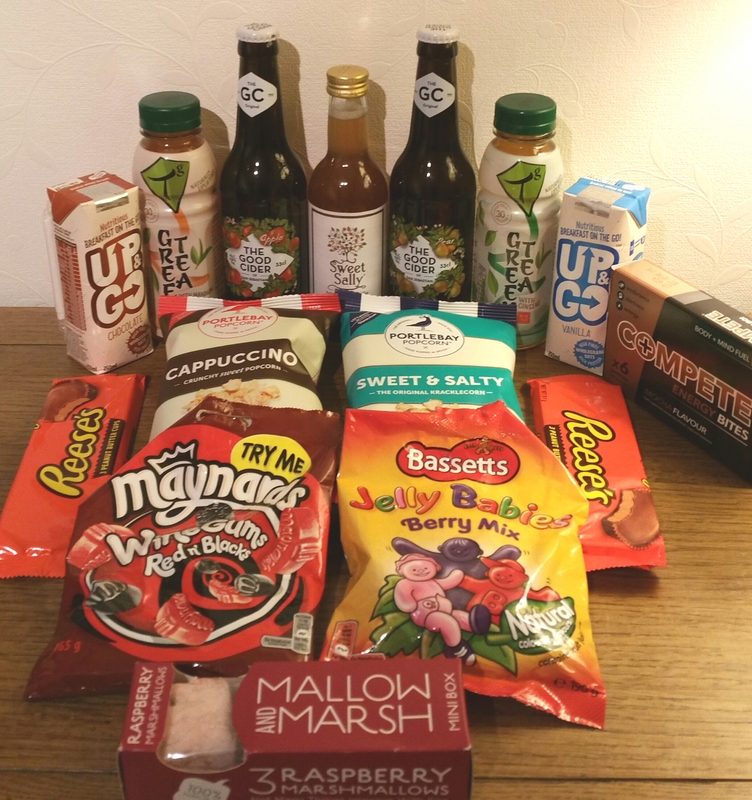 If you didn’t see last month’s review, Degustabox is a monthly subscription box full of food and drink surprises, many of which you might not normally come across on your weekly shopping trips. It usually costs £12.99 per month, but the very lovely people who create these amazing boxes have kindly given me an extra special treat for you all. More on that at the end. The products are worth more than the cost per month, and delivery via DPD is included in the price! Well worth trying!! 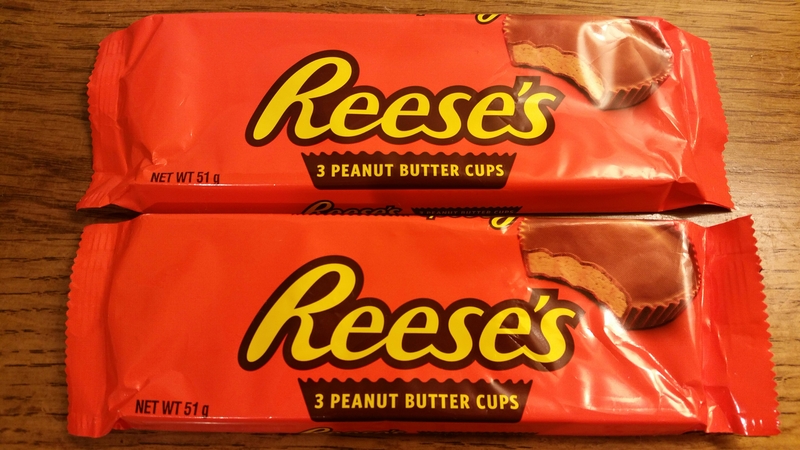 REESE’S PEANUT BUTTER CUPS x 2… I have to admit I had never tried these before but have heard people say how yummy they are. I was sent 2 packs which each had 3 cups in. If you’ve never tried them, they are basically peanut butter covered with Hershey’s chocolate. I love peanut butter, I love chocolate, so I loved these! I even used them to make a peanut butter and jelly cheesecake which was AMAZING, even if I do say so myself. The RRP for these is 85p per pack. My verdict is 10/10. 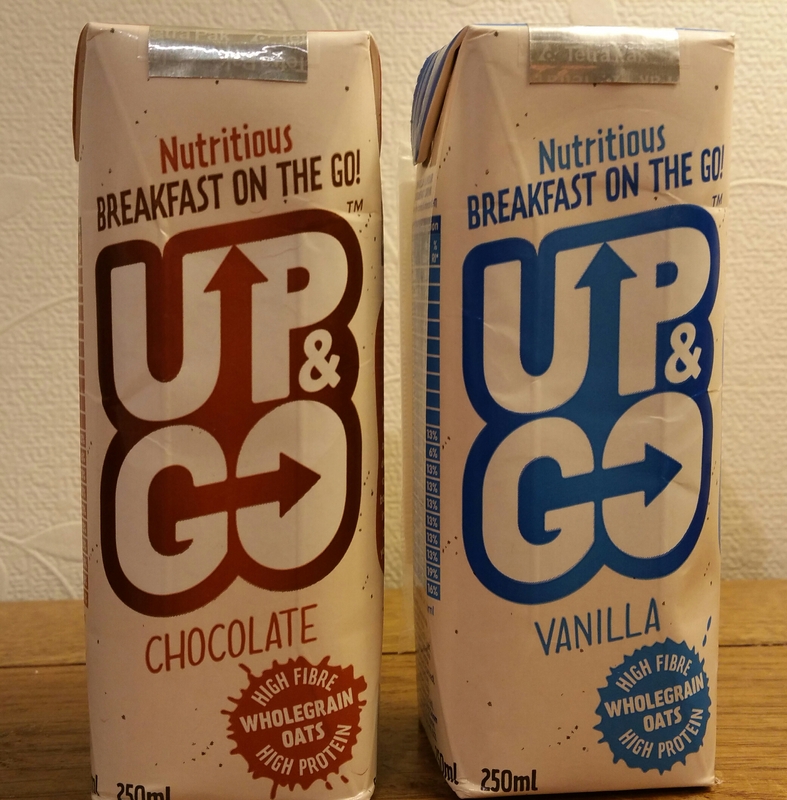 UP & GO x 2… Another new product for me. These are breakfast drinks very much like milkshakes, ideal for busy days when you don’t have time to sit down to eat breakfast. You can just grab one and drink it on your way out. One of these contains the same amount of protein, fibre and calcium as a bowl of bran flakes with milk, and is fortified with vitamins and minerals. They are low in fat and made with wholegrain oat flour, so you feel satisfied after drinking one. I was sent 2 flavours to try, chocolate and vanilla. The vanilla one is now a regular purchase for me, I loved it so much. They were both delicious but the vanilla one was my favourite. It tastes like custard! Mmmmmmmmm! The RRP of these is £1.39 each, although I did find them in Sainsburys for £1 each not long ago. Definitely a 10/10 from me. 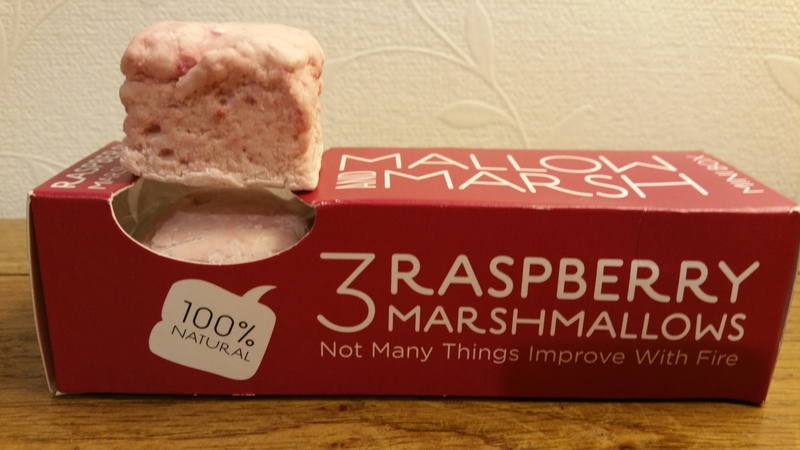 MALLOW AND MARSH… I received a pack of 3 huge fluffy raspberry marshmallows and these were the first things we tried from the box. There are 3 of us in our house so we agreed we would have one each. These are absolutely divine! They are the softest fluffiest marshmallows i have ever tasted, made with real raspberries so the taste was amazing. They are not overly sweet like some marshmallows can be as they are 100% natural. Just perfect. I would love to use these in some recipes, but then again they are too good to mess with. Gorgeous! RRP is £2. My verdict is a huge 10/10. MAYNARDS WINE GUMS… Carrying on the sweet theme this month with these wine gums. Everyone I know always goes for the red and black sweets in packets. The poor old yellow and green ones get left behind. Well Maynards have solved the problem by bringing out packs of just the blackcurrant and strawberry ones. Hooray! I tried a couple and loved them. The packet then disappeared into my Other Half’s work van, never to be seen again. The RRP is £1.50. My verdict is 9/10. BASSETTS JELLY BABIES…. 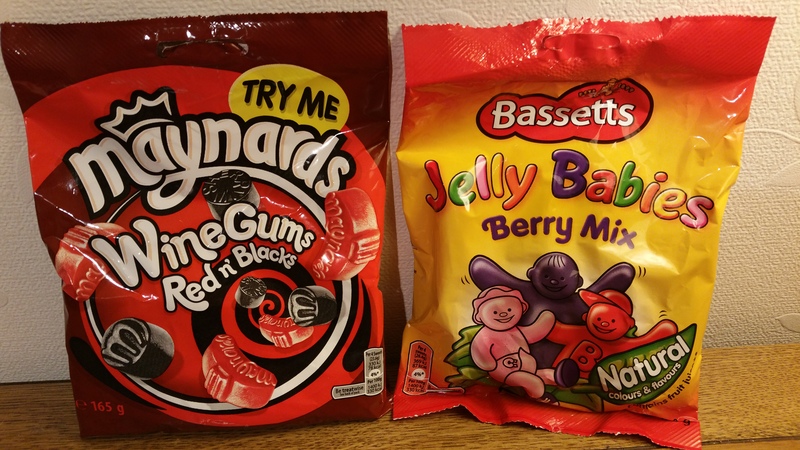 Like Maynards, Bassetts have realised most people prefer the berry flavours, so have brought out a packet containing just the blackcurrant, raspberry and strawberry ones. We love Jelly Babies in our house so these disappeared very quickly. I used some to make these cookies before they all went though. Another yummy idea to use these with is a lot more grown up. Place some in a bowl, cover with vodka, and leave for at least 12 hours. The Jelly Babies absorb the vodka and you are left with very boozy babies. That doesn’t sound at all right… I mean the jelly kind! They’re a bit fiddly to pick up as they go slippery, so grab a spoon and try one. Remember though, they are then full of alcohol and yes, you can get drunk on them!!! The RRP is £1.50. My verdict is 10/10. 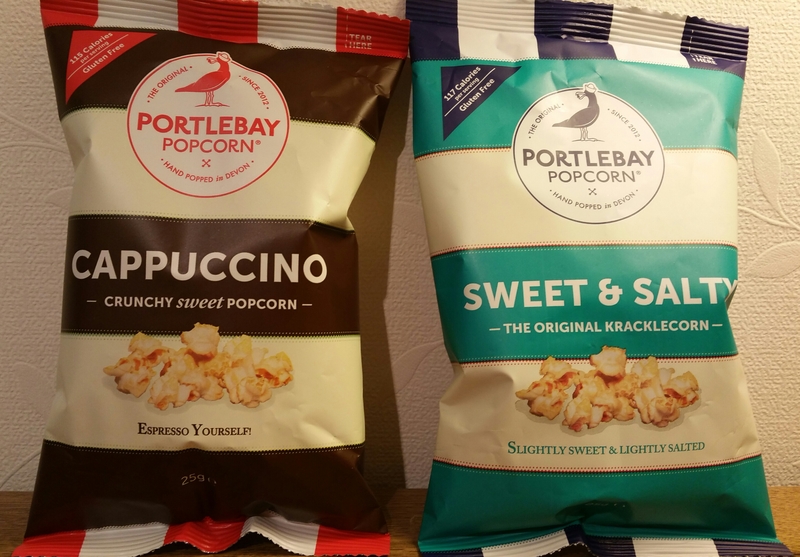 PORTLEBAY POPCORN… I was sent 2 flavours to try, cappuccino and sweet & salty. These are hand popped in Devon using rapeseed oil and unrefined raw cane sugar. I love popcorn so did enjoy these. There was just the right balance of flavour and the perfect amount of crunchiness. The sweet and salty was my favourite of these 2 flavours. Very tasty. The RRP is £1 per pack. My verdict is 8/10. 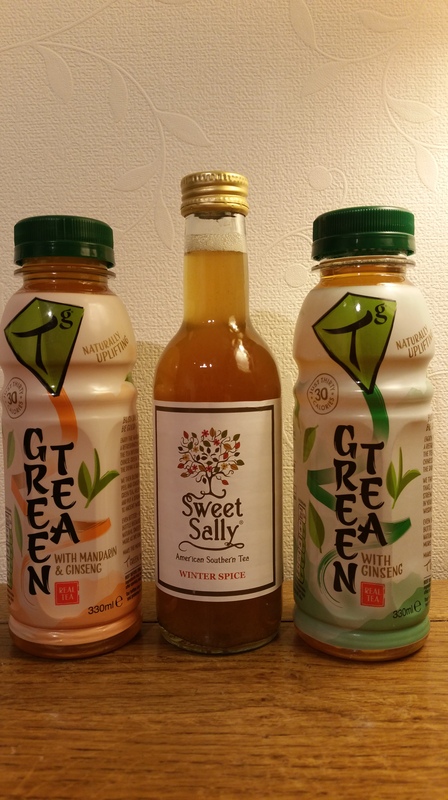 TG GREEN TEA… I was sent 2 flavours of these to try; Ginseng, and Mandarin and Ginseng. With only 30 calories in a bottle these are great for people on calorie-controlled diets. They are low in sugar but high in flavour. I really enjoyed these. Extremely refreshing and I felt revitalised after drinking them. I will definitely be looking out for these in shops, especially the mandarin one. The RRP is £1.80 per bottle. My verdict is 10/10. SWEET SALLY TEA… This Winter Spice flavour tea is absolutely delicious. It is perfect for these Autumn days. It is made using Ceylon black tea, Spanish oranges, Sicilian lemons, organic sugar, cinnamon and cloves. You can imagine from that list how good it smells too! Thoroughly enjoyed this. It would be great to use in tea loaf recipes too! The RRP is £2.40. My verdict is 10/10. 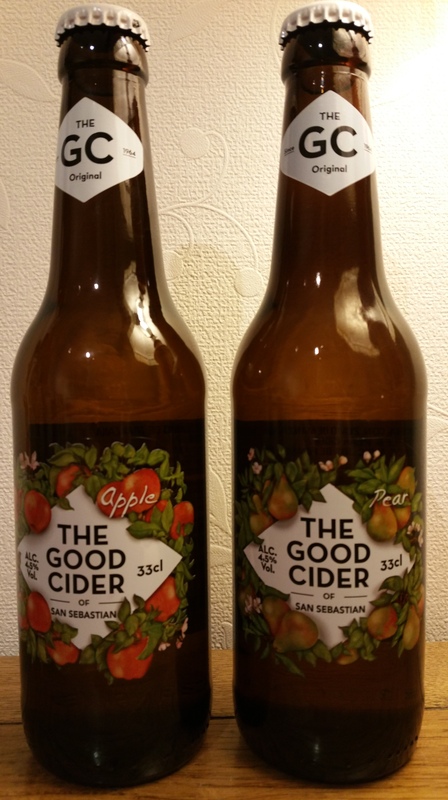 THE GOOD CIDER OF SAN SEBASTIAN… I received 2 flavours to try, apple and pear. My Other Half was very excited to see these as he loves cider but had never heard of these ones. I had a sip of each while he drank the rest. I preferred the pear but he preferred the apple. These Craft Ciders are also available in peach, and wild berries flavours. Del said they were very refreshing with a perfect flavour. The RRP is £1.50 each. Our joint verdict is 10/10. 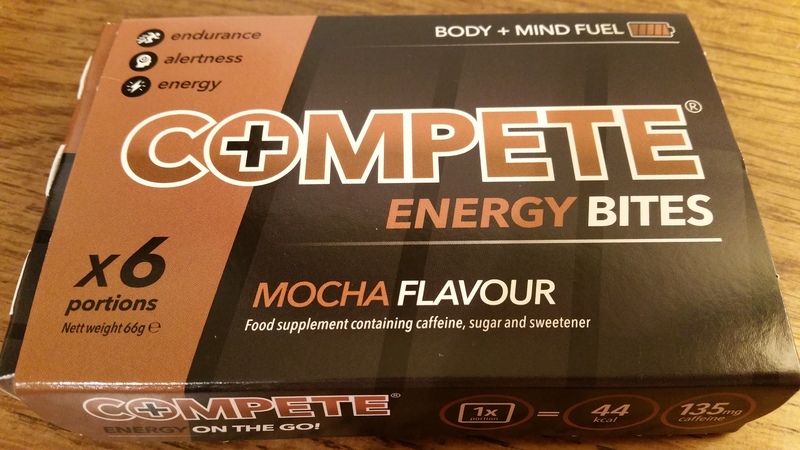 COMPETE ENERGY BITES… I was a bit dubious about these at first. I’ve tried so-called energy drinks before and have felt no difference in energy levels, so was expecting the same from these. I tried one in the days leading up to my operation when I needed extra energy to keep me going while I was running round getting everything sorted for a stress-free recovery when I came home. I have to say, I was impressed! They are mocha flavoured square chocolates, and you get 6 in a pack. They are individually sealed so no worries about having to use them all within a set timeframe. There are 44 calories per chocolate, and one chocolate gives you the equivalent amount of caffeine as one large premium coffee, or 135mg of caffeine to be precise. The packet contains lots of advice about recommended use, and warns that these are not for children or pregnant women. They recommend 1 chocolate for moderate energy or 2 for maximum effect. I had one and I actually felt the benefit! It gave me the boost I needed to get everything done when I was starting to feel tired. The RRP is £4.49 per pack of 6. My verdict is 9/10. As you can see from everything I received you get a lot of products for the price. £12.99 is very tempting for all of this isn’t it? Well as I said earlier, I have been given an amazing deal to offer to you. In last month’s review I was able to offer you a discount of £3 off your first box. The lovely Degustabox folk decided that they could go better than that too! So how does £6 off your first box sound??? Fantastic I know! All you have to do to take advantage of this brilliant discount is click HERE to register, and enter the code BLDEG15 in the payment option section. You’ll then receive your first box for just £6.99 including delivery! What a bargain! !